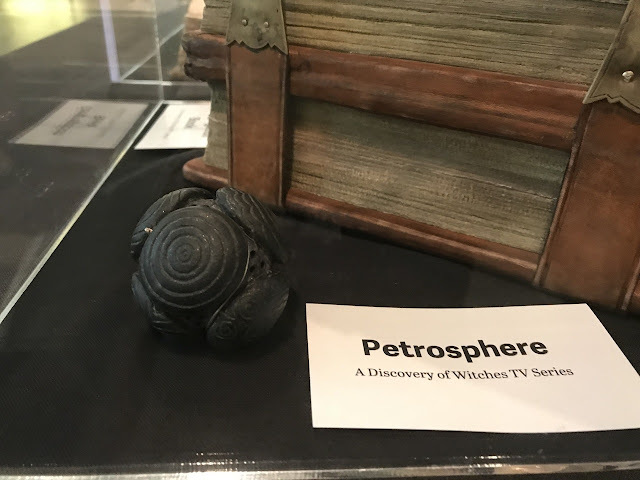 Three lady daemons discuss Deborah Harkness' universe and the topics that orbit it (A Discovery of Witches TV + The Trilogy). Diana has just miscarried, and Matthew is a Mess™. We all examine our feelings and reactions to both characters in this episode. We also gather around with the witches to watch Diana cast her forespell! You were wondering about the episode title? Well, with this ritual a new creature emerges. How does this relate? F*cking Firedrake -- sound familiar? See what we did there? That also happens to be "the word" to get into our Facebook group. We caught ourselves trying to be clever! Please enjoy our splash back into the chapters; we certainly did! One of the directors of All Souls Con, and the person behind The Tenth Knot, Laura Ventura joins us to dream about Season/Series 2 of A Discovery of Witches! All Souls Discussion Group Moderator, Renee joins us from Facebook’s largest group for delving into the All Souls Trilogy, its expanding list of books, and its television show. Administered by Deborah Harkness, this group is what we consider the epicenter of the fandom's origins. Renee's daily interaction with the group allows her to share unique perspectives when it comes to parsing this story, therefore we thought she'd be a perfect fit for talking about the TV series story arc. This is also our first episode interacting with Discussers this year! Yay! We missed you guys! A very long episode; take it in bites, but enjoy every one. Matthew needs to find Diana ... and so does Baldwin. Their motivations clash in a vampiric display of will. Meanwhile, somewhere in a crumbling castle, Diana has to stave off a determined ('sadistic' is more accurate) witch from getting her secrets. Gerbert is skulking about hoping to get his own time with Diana, and this brings us to alarm because we know what he does to witches (Meridiana, anyone?)! Join us as we watch these events unravel! Also? Hello Sigasmund. From this episode on, you are no longer nameless. We shall call you "Siggie," OK?! Copyright © 2016-2019 Daemons Domain. All rights reserved.